In the digital age, we’re falling for clever online marketing more and more. In fact, 64.6% of clicks in search engine results go towards paid ads, meaning paid search listings beat organic ones at a margin of 2:1. Plus, ads can now follow you around the internet, eternally reminding you to go back and buy those overpriced boots from Timberland. Next thing you know, you’re wearing a pair of expensive new boots, wondering where your savings have gone. As an ecommerce business owner, you really can’t afford to skip out on creating an engaging marketing strategy. You need to ensure customers are clicking through to your website more than the competitors, and from the statistics listed above, there’s not much room for business owners who aren’t willing to invest in advertising. If you want to keep up with the competition, you need to be engaging, personable, unique (and a little bit sneaky!) to convince customers that your brand is cheaper, more accessible, and has faster shipping than all the other stores combined. Want to grab their attention for minimal costs and little-to-no leg-work? Read on. One of the most powerful methods of reaching your customers online is social media. In 2016, social media revenue grew 49%, increasing to an astounding $16.3 billion, proving that ecommerce marketing is most definitely becoming user generated. Arguably the most popular social media platform for making sales is Instagram. 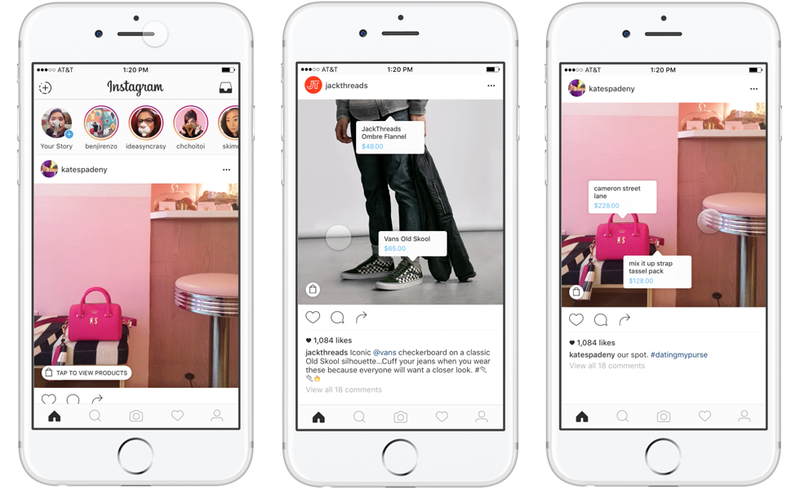 In 2018, the app introduced Instagram Shopping, a new addition that allows sellers to link through to products from Instagram photos and stories. So, customers can now tap a photo of a product and be offered a link through to the seller’s website. You even get a glimpse of the pricetag… and if it’s on sale. This new option for sellers is proving to be super effective. The average order value from Instagram marketing is $65.00. That’s higher than from any other social media platform! Plus, Instagram is free to use (as long are you’re not doing sponsored posts), which is going to be a nice change to your marketing budget and customers can share social proof i.e. share photos of their purchase, or even spruik them for you. Potential customers will see your products being bought by others and feel more comfortable knowing other people have had a positive experience with your business. 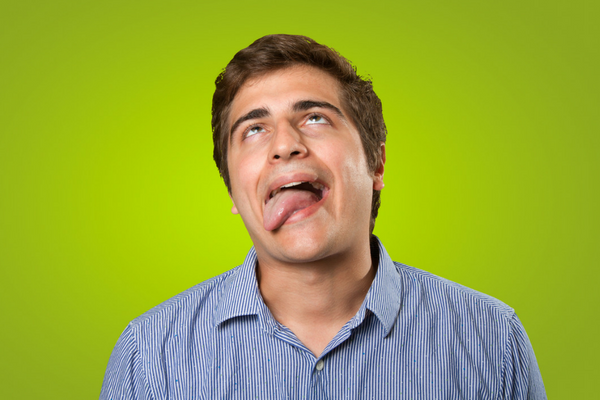 There is one caveat though – Instagram is a rabbit warren for user-generated content (UGC). And while this is totally amazing, you better have dedicated resources to manage the brand’s account and keep on top of the comments in case a negative one sneaks through. Looking for a measurable form of ecommerce marketing? You might want to look into Google Adwords. Adwords (soon to be “Google Ads”) is an online platform that charges per click – no upfront costs, no mega payouts. This is a cost-effective option for smaller businesses who don’t have a massive amount of exposure yet; business owners can set their own budget from as little as $100, then if no one clicks the ad, no harm done! You won’t be charged for an ad that doesn’t convert into clicks or sales. You can target specific locations, demographics, interest groups, time zones and devices, plus adjust budgets up or down for ads that aren’t garnering enough attention. Adwords collects all of this data – just log into the interface to see how the ads are performing and make changes to optimise them for your target audience. Google Ads makes it easy to calculate ROI – but be warned, Google Ads can be technical and often require experts to manage the campaigns effectively (without wasting your businesses’ dollars). Want to keep up to date with your customer base without having to put in the hard-yards and hours involved with email newsletters? You might want to consider email automation marketing! Win back customers who haven’t visited in a while. The best part about email automation? You can set it and forget it – email automation platforms like MailChimp can schedule and send emails for you, engaging or re-engaging customers while you move on with more important tasks. 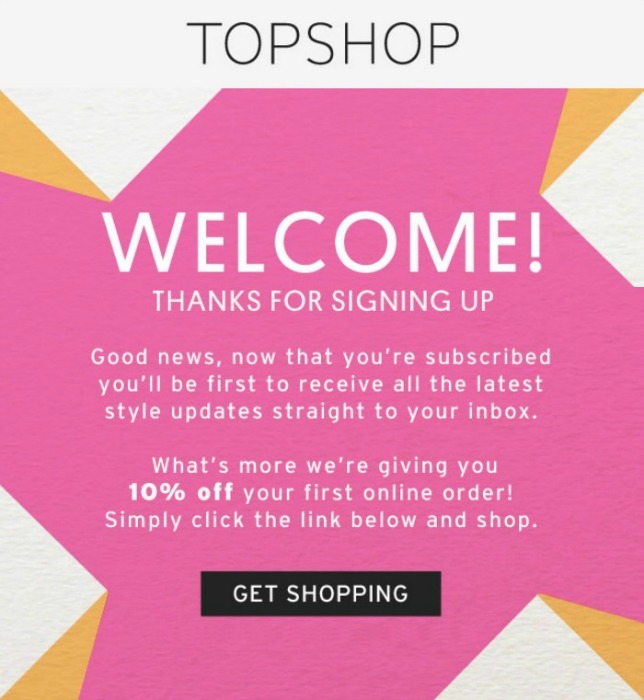 Check out this “welcome” email from fashion globetrotters, Topshop. The bright colours are vibrant, exciting, and characteristic of the brand, grabbing attention and using geometric patterns for a modern twist. The real attention grabber, however, is the bolded “10% off” text, encouraging new customers to take advantage of the one-time-only discount. Email automation is a super effective method of keeping in touch with customers, rewarding new email subscribers, and re-engaging those who abandon their carts – all while you’re on the phone, sending emails and running your business like a pro. Marketing your ecommerce business doesn’t have to be time consuming, mind-boggling or budget-crippling. In fact, it can be as simple as starting a social media account like Instagram, investing in pay-per-click advertising, or setting up a well-thought-out email automation plan to keep customers coming back for more without having to lift a finger. Ecommerce marketing is becoming easier with social media and email automation – you just need to dive in and give it a go! We know what it’s like running an online business – we talk to hundreds of ecommerce businesses daily. It’s critical to give your business the exposure it needs to thrive in a competitive online environment – and it’s also important to exceed expectations to keep your customers coming back. *We are not guaranteeing anything here, but it can’t hurt to dream. Talk to us about how you can integrate great shipping with an amazing ecommerce marketing strategy. Contact us today.